Let your cable configuration imagination run free with this neoprene zippered case for cable and accessory storage. Side zippered gusset expands for additional storage. Added mesh detail on the back of the pouch for visibility of contents inside. 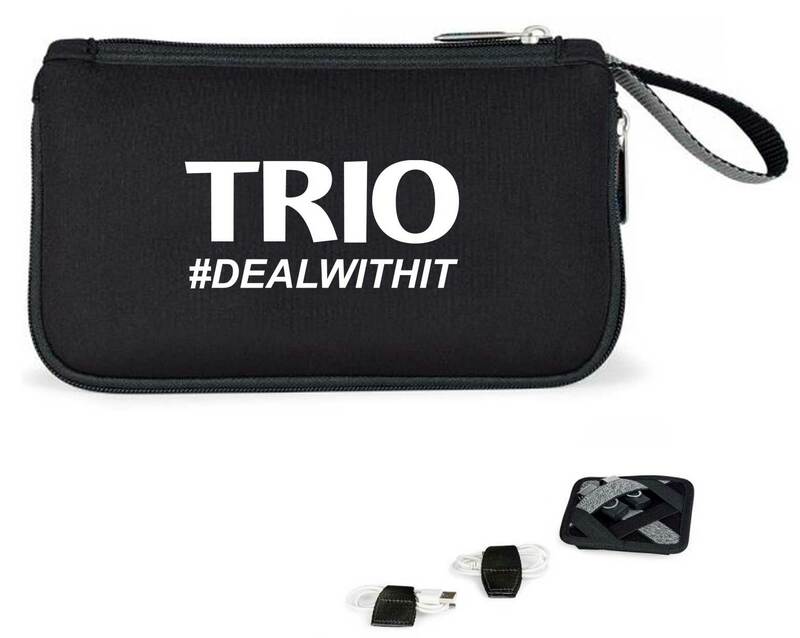 Includes elastic organizer that securely holds small electronic gadgets, cords and adapters. The elastic organizer features a hook and loop fastener pouch on one side for additional storage. Two magnetic cord wrap organizers also included.